Synopsis: Parineeta Singh has always known her purpose in life: to help exact revenge on the invading British and free India. She becomes a maid for General Carton in order to supply information to her brother's Indian revolutionary group. 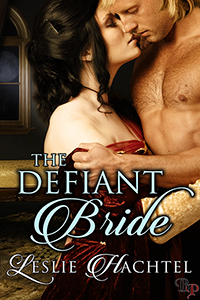 But when her employer is exposed as an American spy, she agrees to help him escape the British Raj. To complete his mission, Carton - aka undercover operative Warren Khan - must hide both his true objective and his part-Indian heritage. 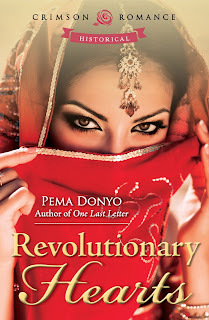 But once he meets the captivating Parineeta, who holds the key to both his freedom and capturing her brother, a suspected anarchist, he finds the subterfuge more difficult than anticipated. Synopsis: Furious at being used as a political pawn, the Lady Dariana defies King Henry VII by faking her own death to avoid marrying a man she has never met. Praying the king will not retaliate against her father, she seeks refuge in the forest and learns to fend for herself. When William, a warrior knight, is felled by an arrow, she saves his life and arranges his rescue before fleeing to avoid discovery. 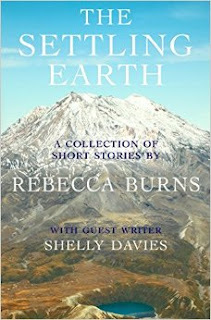 Synopsis: Marriage transplants Sarah thousands of miles from home; a failed love affair forces Phoebe to make drastic choices in a new environment; a sudden, shocking discovery brings Mrs Ellis to reconsider her life as an emigrant-The Settling Earth is a collection of ten, interlinked stories, focusing on the British settler experience in colonial New Zealand, and the settlers' attempts to make sense of life in a strange new land. Sacrifices, conflict, a growing love for the landscape, a recognition of the succour offered by New Zealand to Maori and settler communities-these are themes explored in the book. The final story in the collection, written by Shelly Davies of the Ngātiwai tribe, adds a Maori perspective to the experience of British settlement in their land. 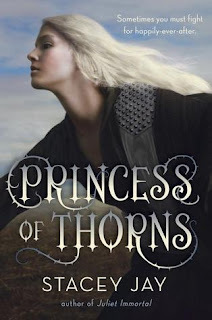 Princess of Thorns Author: Stacey Jay Genre: YA, Fantasy Publisher: Delacorte Press Release Date: 2014 Pages: 400 Source: Netgalley/Publisher in exchange for an honest review. Synopsis: Game of Thrones meets the Grimm’s fairy tales in this twisted, fast-paced romantic fantasy-adventure about Sleeping Beauty’s daughter, a warrior princess who must fight to reclaim her throne. It’s been ten years since Princess Aurora’s mother, the Sleeping Beauty, sacrificed her life to give her daughter her magical powers. Aurora knows that magic is never free. The price for hers is that she will never know romantic love. Synopsis: Pulitzer Prize winner Massie offers the tale of a princess who went to Russia at 14 and became one of the most powerful women in history. 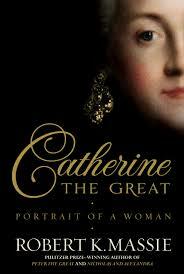 Born into minor German nobility, she transformed herself into an empress by sheer determination. Possessing a brilliant, curious mind, she devoured the works of Enlightenment philosophers, and reaching the throne, tried using their principles to rule the vast, backward empire. She knew or corresponded with notable figures of her time: Voltaire, Diderot, Frederick the Great, Maria Theresa of Austria, Marie Antoinette & John Paul Jones. 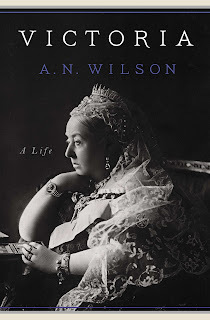 Synopsis: When Queen Victoria died in 1901, she had ruled for nearly sixty-four years. She was a mother of nine and grandmother of forty-two and the matriarch of royal Europe through her children’s marriages. To many, Queen Victoria is a ruler shrouded in myth and mystique, an aging, stiff widow paraded as the figurehead to an all-male imperial enterprise. But in truth, Britain’s longest-reigning monarch was one of the most passionate, expressive, humorous and unconventional women who ever lived, and the story of her life continues to fascinate.